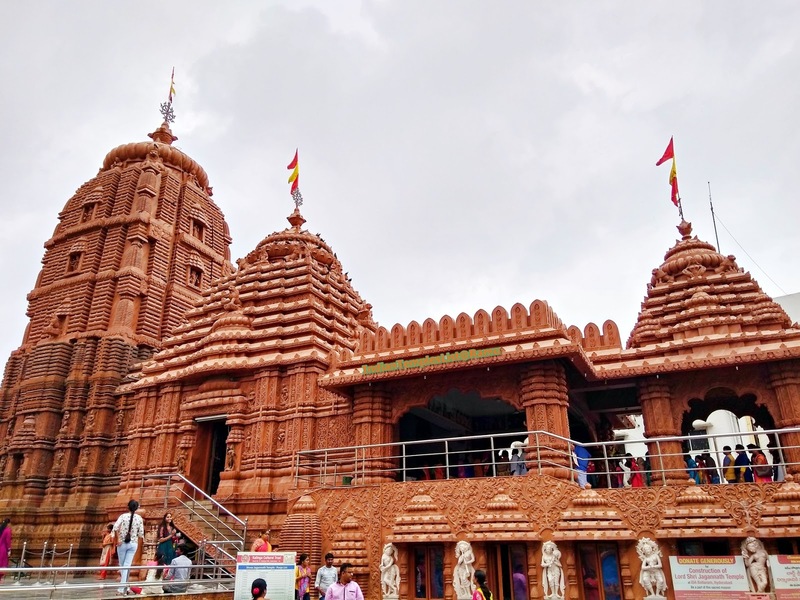 Shri Jagannath Temple, which is located on Road No. 12 of Banjara Hills, Hyderabad is a modern temple built by the local Odia community in Hyderabad. 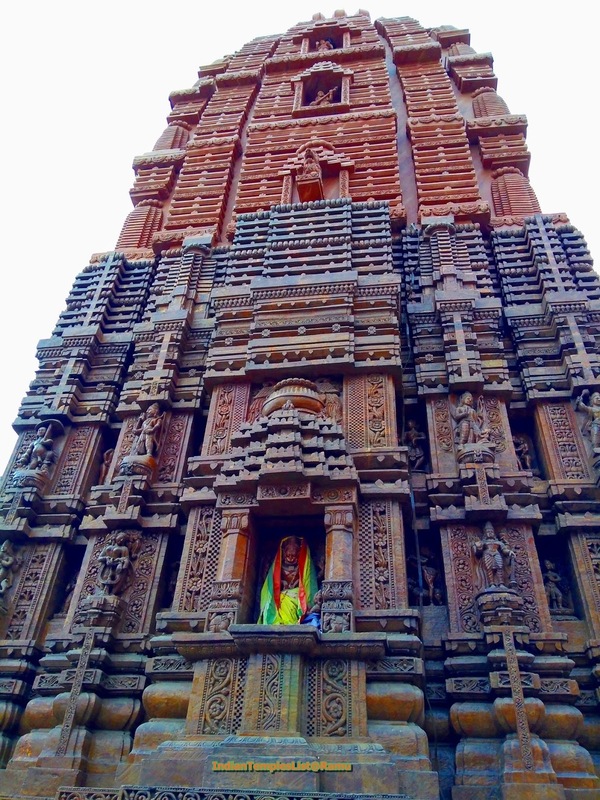 This temple is dedicated to Lord Jagannath (Lord Krishna incarnation of Lord Vishnu). 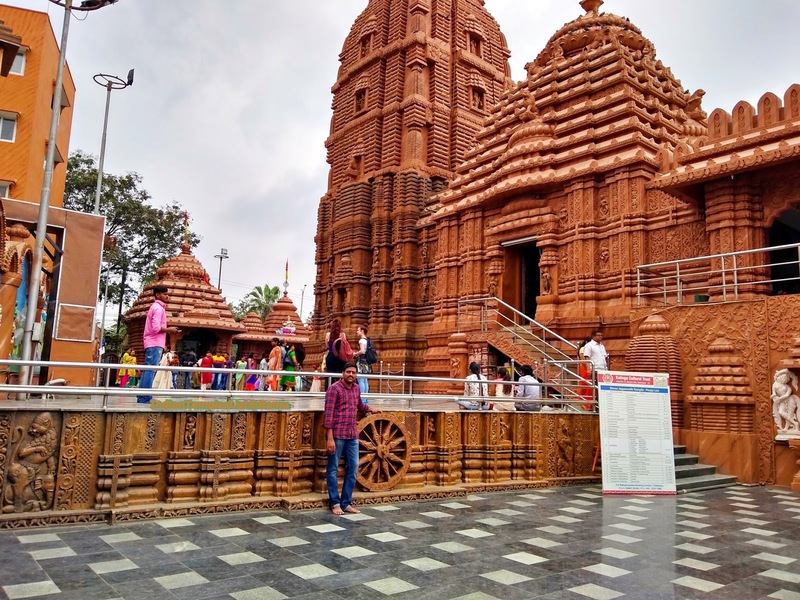 Shri Jagannath temple complex in Hyderabad is a perfect replica of the original Puri Jagannath temple in Odisha. 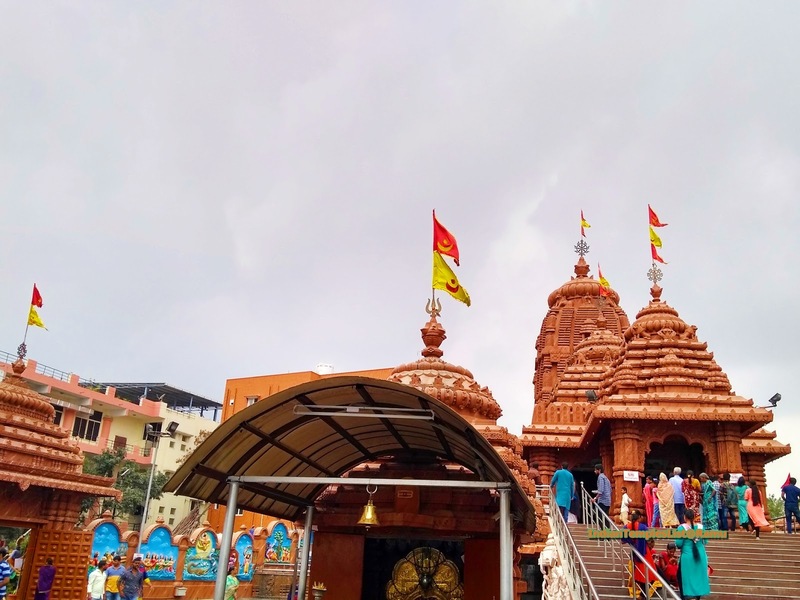 Apart from the main Jagannath temple, visitors can find multiple surrounding temples dedicated to other Gods such as Lord Ganesh, Lord Shiva, Lord Hanuman, Goddess Parvati, Goddess Lakshmi and Navagrahas. Located in the middle of Hyderabad city, next to the Telangana Rashtra Samithi (TRS) office, this is a well-maintained peaceful temple. 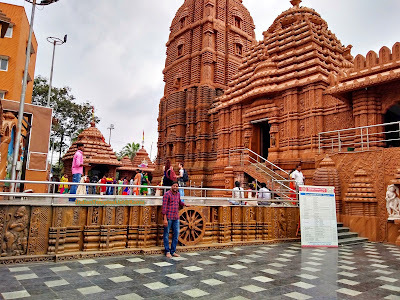 For a moment this temple makes you feel as if you are in the original Puri Jagannath Temple in Odisha. It is one of the most visited temples in Hyderabad and is famous for its annual Rath-Yatra (Chariot festival). The temple has a lot of surrounding space and is very popular with the Selfie enthusiast. This is a perfect weekend destination with family or friends. It is an ideal destination for spiritually minded people and they should not miss this temple when they are in Hyderabad. The main attraction of this red sandstone temple is its 70 foot high Shikhara tower carvings. 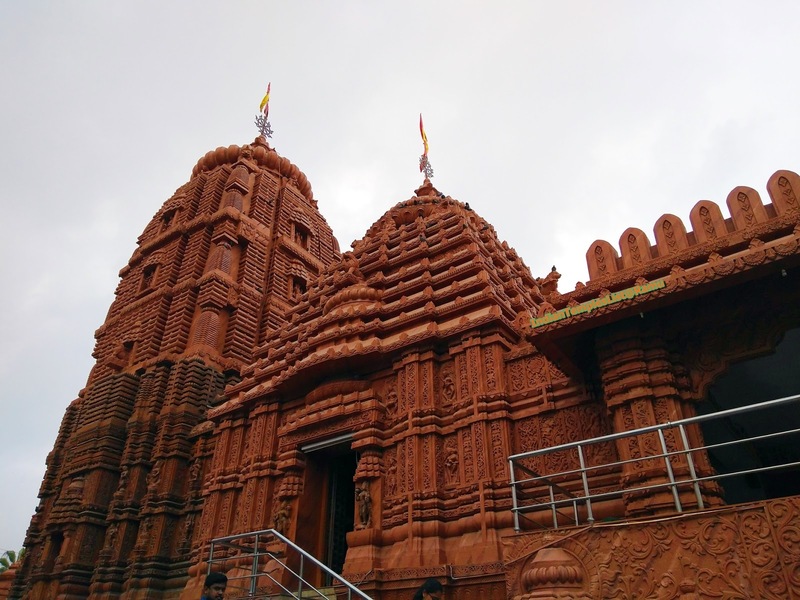 The beautiful sandstone used for this temple came from Odisha. This divine temple is known for its beautiful architecture, cleanliness, quiet and pleasant atmosphere. Mythology of Lord Krishna is beautifully depicted all around the walls of the temple complex with stunning paintings. The adjacent large function hall is known as "Kalinga Cultural Centre" and is a perfect place for hosting functions, small events and exhibitions. Another Lord Shri Jagannath Temple is being built at IDA Bollaram, Hyderabad by Shri Jagannath Utkal Samskruthi Sangham. 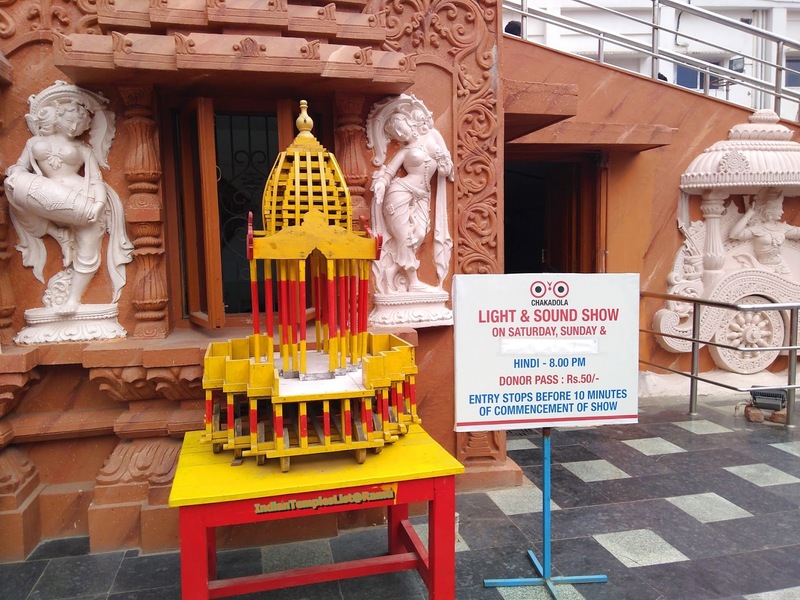 Every Saturday and Sunday at 8 pm, the Light and Sound Show is organized in the Jagannath temple complex. Parking is available for both Two-Wheeler and Four-Wheeler in the vicinity of the temple complex. The best time to visit the temple of Jagannath in Banjara Hills is on Saturday and Sunday. Temple entry is free and you can buy Prasadam for a small fee in the temple complex. The temple is easily accessible by road from different parts of the city. Note: The temple timings may change on certain special occasions and holidays. Please share this Jagannath Temple information with your friends and do share your experience after visiting this temple in the comments section. Shri Jagannath Temple, Plot No-1269, Road No.12, Banjara Hills, Hyderabad, Telangana.